The bright green line shows where we were walking and where I took these pictures. 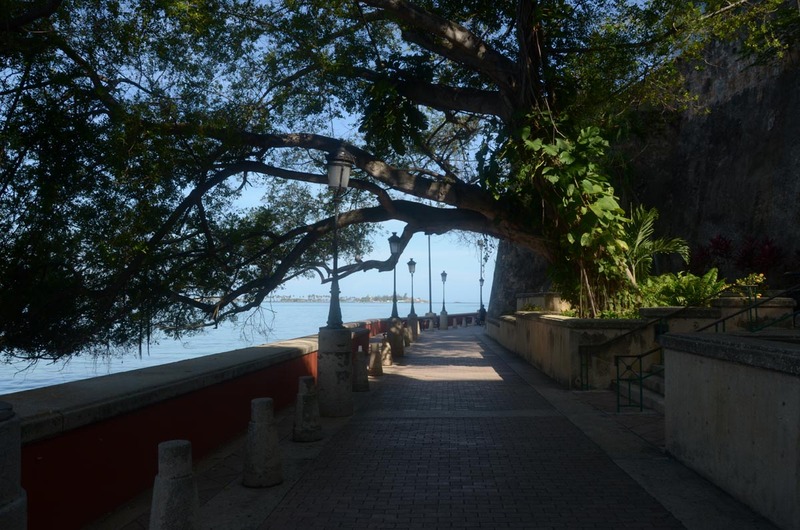 Saturday night at a dinner party, a friend commented that she walks every weekend with her friends on the Paseo La Princesa and Paseo el Morro. It sounded wonderful so Gerry and I took the same walk on Sunday morning. 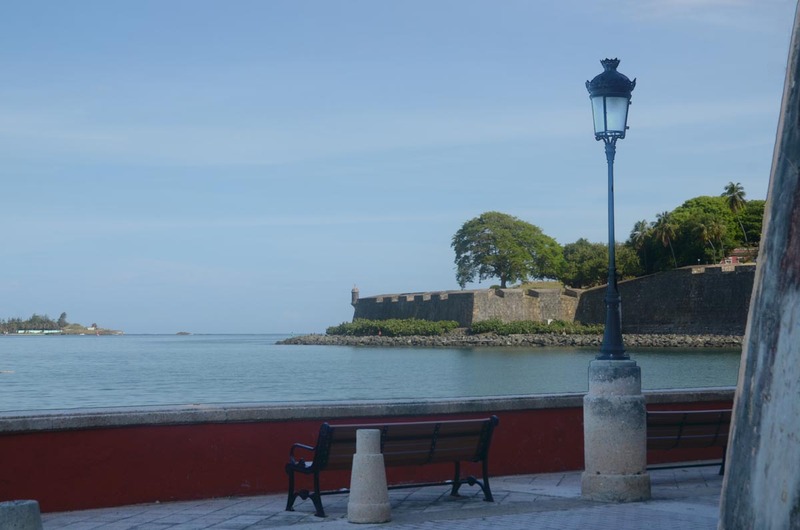 These paseos run along the base of the walls of Old San Juan, on the outside. The area is famous for the cats – and we definitely saw a lot of cats, though fewer than I remembered. Whereas in the past there were always sick and sickly looking ones, this weekend we only saw fat, glossy, healthy ones – many brazen enough to refuse to move out of our way as we trudged along. We also saw people taking care of them and many feeding stations tucked away in the bushes. What was once a shameful scene of neglect is now a joy for an animal lover. 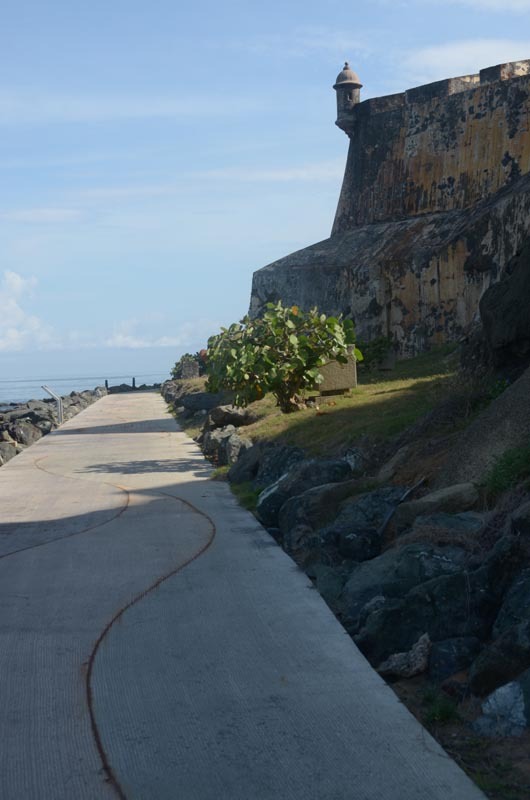 We were also pleasantly surprised to find that the walkway has been extended, and now the turning back point is actually right under the walls of El Morro, one of the fortresses of Old San Juan. Judging from what we saw – there may be another extension coming. That would be wonderful! 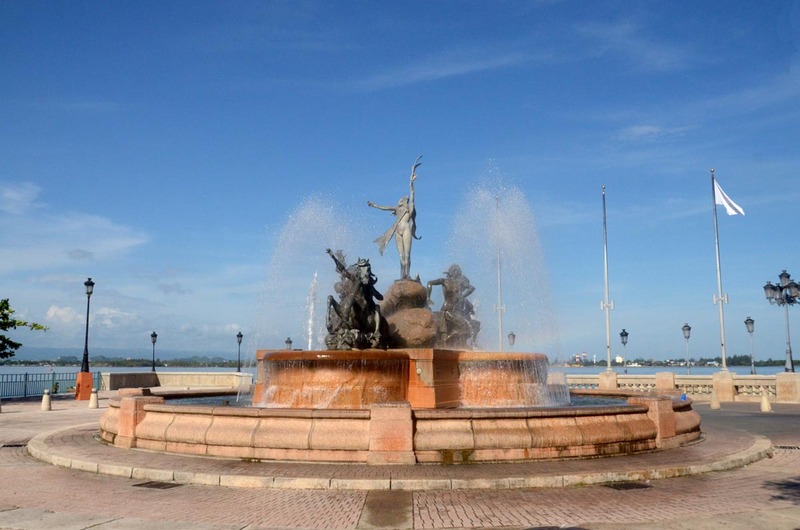 The fountain at the end of La Princesa is the landmark for our starting position. Dark shade kept the walk way cool, at least part of the way around. 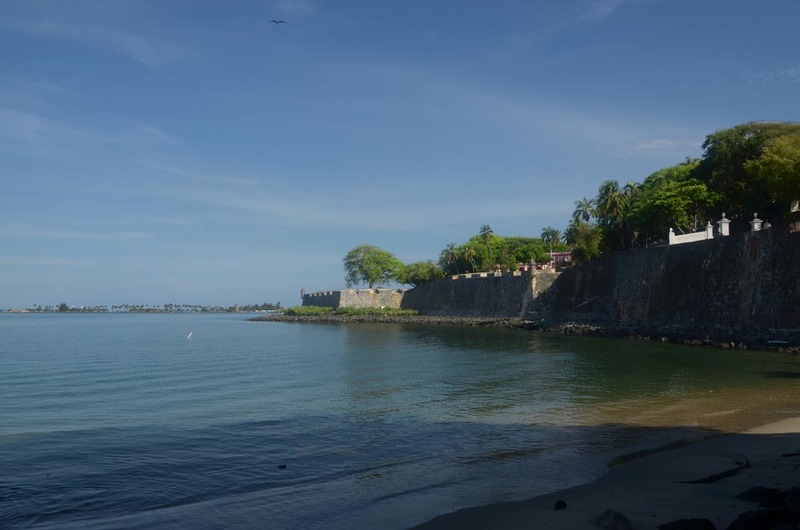 This is from right in front of La Puerta de Mar – the “sea gate” (icon on the map). 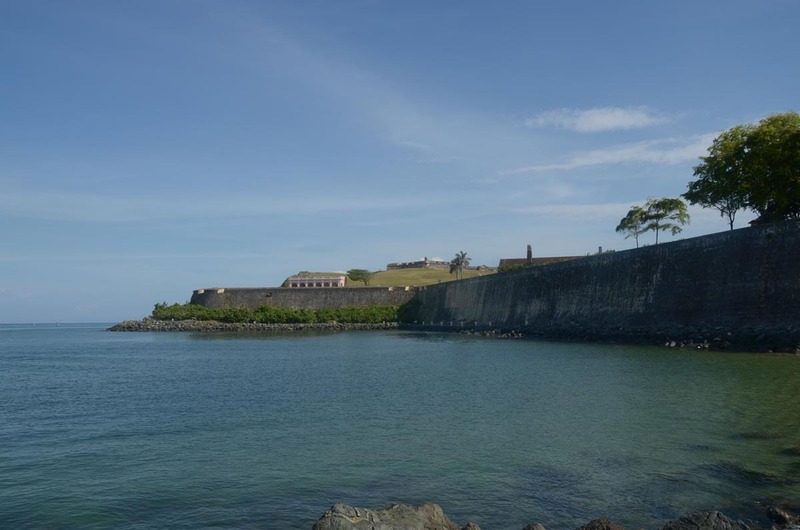 Here you can see El Morro on the top of the hill and “La Casa Rosada” just above the wall. 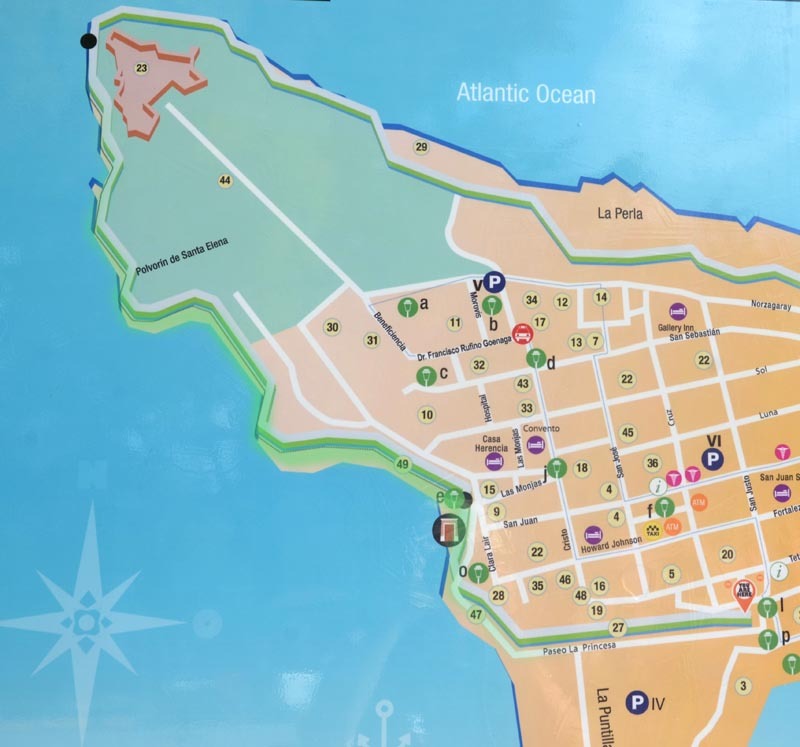 This is part of the new (to us) section approaching El Morro (We’re at the corner of the wall just beyond the words “Polvorin de Santa Elena” on the map). 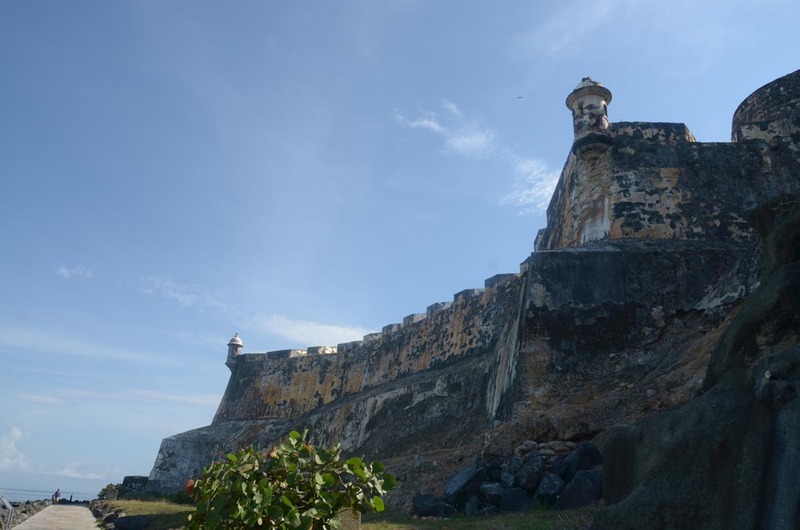 Looking up at the massive walls of El Morro. The end of the trail. 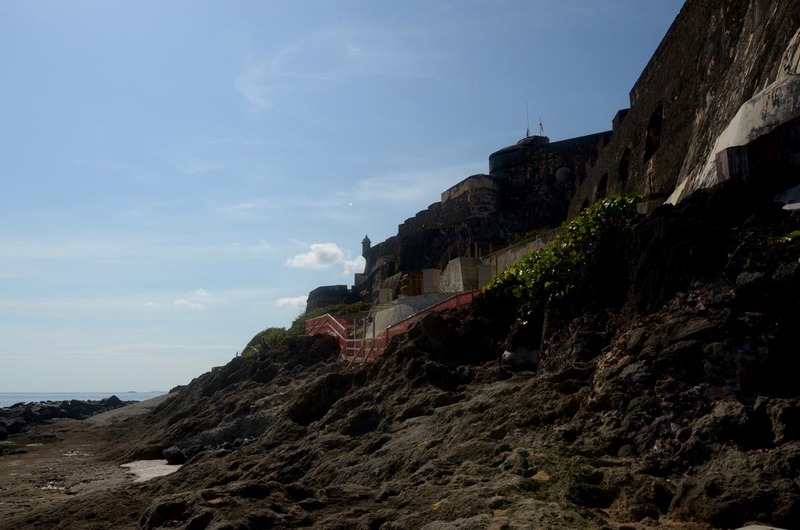 You can see the construction that is underway. Can’t wait to see what it becomes!